Timmy Creed is the real deal. You can tell he has spent thousands of hours with a hurley in his hands from the relaxed way he holds it. As you wait for the performance to begin, he is already in the handball alley, knocking a ball against the wall. A demented version of the Sunday Game theme song plays on loop. After a few minutes the lights go out and we are immersed into a world of Hurley and life in small town Ireland. Timmy grew up in Bishopstown, which is a small town without much in it. At the centre of the local community is the GAA club, which is one of the 265 clubs in Cork. Timmy lists the clubs at the start of the performance, a flurry of names of towns and clubs you hardly know, but each with their own local aspirations. As a young man, he was a dual player and part of a very successful team that won a number of medals. This piece aims to talk about the role of the GAA in Irish communities, but also about Timmy’s own life and the many changes he has gone through. It is quite a personal journey to find himself performing in a one man show in the Fringe! The location of the performance is St. Michan’s Park, a handball alley on Green Street, is very evocative from the start. It is just off Capel street and is a concrete space with graffiti on each wall. There are four rows of benches at the back of the alley for the audience to sit on. It is a multimedia piece and features the work of visual artist David Mathúna and composer Chris Somers. There are two screens in the corners of the alley which are used to show a variety of images, these vary from the many locations mentioned to images of Timmy during his playing career. There are also many abstract images which are used to show Timmy’s state of mind at different stages. The images are constnatly changing, and work well to illustrate the points. The music is used more sparingly but shows the times in his life where emotions were running high. Timmy has a number of mixed emotions about the GAA. He can see the negatives as well as the many positives. This is possibly the biggest flaw in the piece as there is much ambiguity and no clear resolution at the end. In a sense, that is life though and we should not expect everything resolved at the end of an hour long performance. It is a deeply personal story that is told and there are many impressive ideas and raw emotions on display. You can’t help but warm to Timmy and wish him well at each step along his journey. It is rare to get a theatrical performance about sport, as the two worlds are quite far removed. 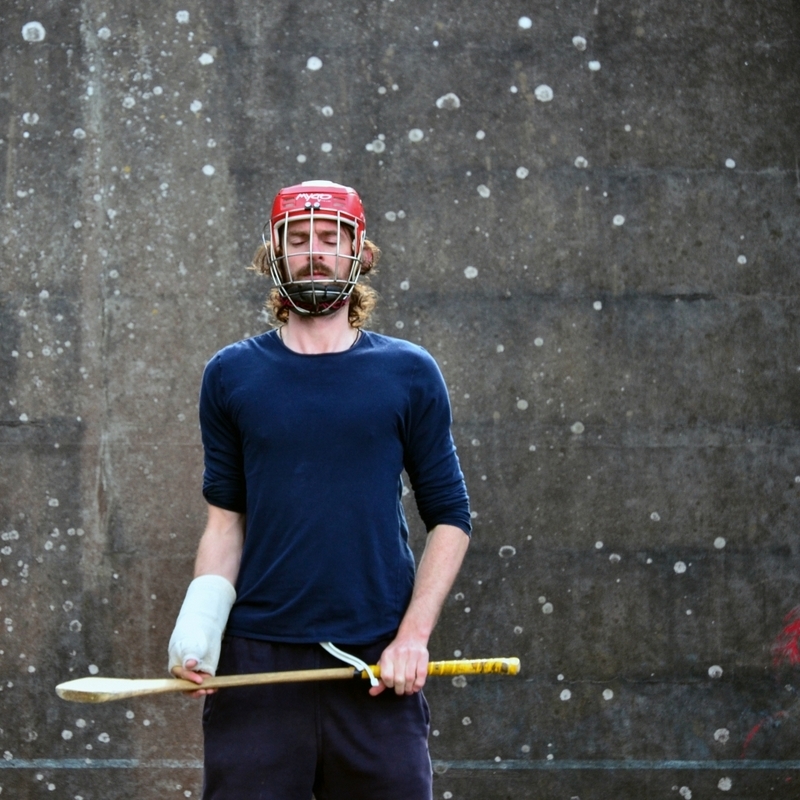 This production aims to get to the heart of what the GAA means to the people of Ireland, which is a subject worthy of exploring. It is a very stylish performance and the use of the multimedia elements work extremely well.